The data-driven approach used by IEN includes traditional data sources as well as open, socially constructed data that is continually updated and validated by its community. The initial dataset includes over 150,000 entries describing over 42,000 international technology-oriented companies, spanning the wide range of ICT sectors. 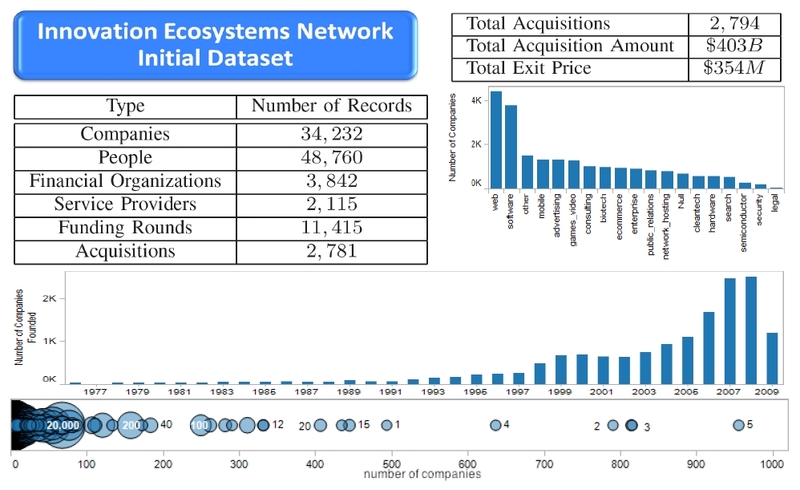 Included in this dataset is information on startups as well as large corporations, senior managers, board executives and investors, and financing rounds, as well as vendors, partners and competitors. Using advanced data pipeline principles, IEN has linked this socially constructed dataset to other datasets created and maintained by government and private organizations. Early analyses have provided validity testing and contextual understanding of the advantages of the new dataset and its use with traditional sources of data.